Astero's Crafty World: The Studio Challenges - News! The Studio Challenges - News! So, today I want to share with you some news that made me really happy and many of you already know: I have become a member of The Studio Challenges design team!!! Oh yesss!!!! 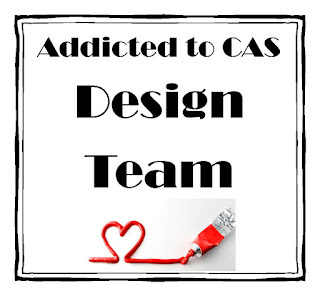 I was sooo happy because this challenge blog was one of the first that I was following when I started with scrapbooking and I have always admired the creations of the design team! For the first time I used hand stitching to make the title. First I wrote the title with a pencil, I pierced the paper tracing the letters, erased the pencil and the used some yarn to stitch the title. I went for the yarn because I wanted to make the title a bit bolder. And of course I couldn't resist using my sewing machine as well. I stitched the subtitle and the frame around the layout. I liked it quite a lot and I think I'm going to repeat it! So that's all for today... Come over at The Studio Challenges to see what the DT has stitched and to play with us! Congratulations Natasha couldn't have happened to a nicer lady !> Fabulous layout and the photo is sensational your stiching is amazing that Love is is just fabulous. καταρχήν πολλά συγχαρητήρια!! !το αξίζεις Νατάσα μου!! !κατά δεύτερον....έπαθα με τη σύνθεση σου!!! !είναι ΤΕΛΕΙΑΑΑΑΑΑΑΑΑΑ!!! !ΜΟΥ ΑΡΈΣΟΥΝ ΤΑ ΠΆΝΤΑ!!! !μπράβο φιλενάδα!!!! 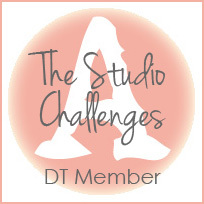 The Studio Challenges - Lift Chain blog hop!